To give Pikachu some company I have made this Pokemon Monster Pack. 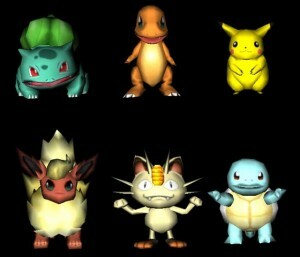 The Pack includes a new re-worked Pikachu with new effects, Bulbasaur, Charmander, Squirtle, Meowth and Flareon. Nice! wondering whether can I have the source files?